Lived about 10 miles from me. Conjunction Junction, what's your function? T-I-O-N, tion, tion, tion, tion (shun, shun, shun, shun!) 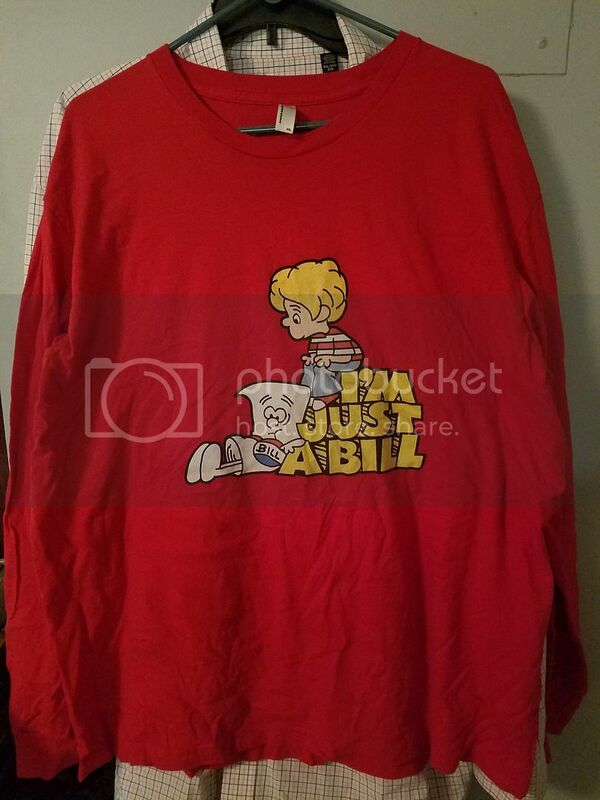 and my personal favorite, I'm Just a Bill, yes I'm only a Bill and I'm sitting' here on Capitol Hill. Dayna gave this to me for Christmas a few years ago after my years-long exhaustive search of the "internets" yielded no luck in finding a t-shirt with this label. I love it! !